When the Obama administration failed to prevent scandals from reaching the public, the media eagerly echoed the Obama White House version of events, often competing on providing cover-up stories, never failing to pounce upon and deride anyone critical of his policies. Two incidents that took many Americans lives stand out. The first is the selling of guns to Mexican criminals, allegedly to monitor them. The scandal led Congress to hold Obama’s Attorney General, Eric Holder, in contempt. The second is the Benghazi affair, in which the Obama Administration lied about the reason for and the terror attack against the U.S. diplomatic post in Benghazi, in which US Ambassador J. Christopher Steven and three other American officers lost their lives, and four others were gravely wounded. Shortly after, on February 24, 2016, as reported by Paltoday (ITIC), the Iranian ambassador to Lebanon held a press conference in the Iranian embassy where he announced Iran’s intention to give financial support to the so-called “Al-Quds intifada” (the name Hamas has given to the current Palestinian terrorist campaign). Iran will give $7,000 to the family of every shaheed and $30,000 to every family whose house is demolished. The total amount is estimated at $2 million, so far. Present at the press conference were representatives of several Palestinian terrorist organizations, including Osama Hamdan, then responsible for Hamas’ external relations and Abu Ahmed Fuad,” PFLP deputy chairman of the Popular Front for the Liberation of Palestine. Osama Hamdan thanked Iran for its support of the Palestinian people. He also said the new Palestinian generation was “a generation of shaheeds” and embodied a “strategic change” in the struggle against Israel.” Since then, Hamas has repeatedly thanked Iran for its generous support of the terrorist groups’ efforts to destroy Israel. 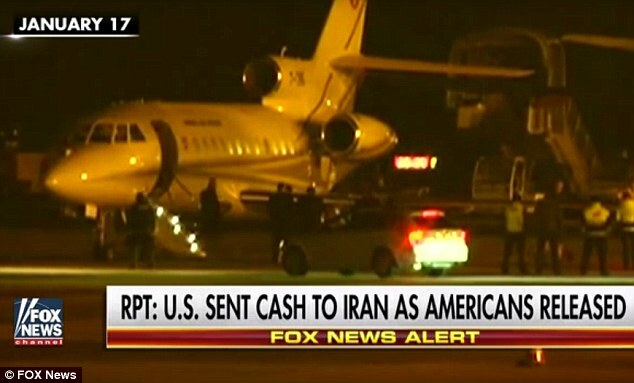 Mind you; this was not the first time the Obama administration transferred payments to Iran. How were those payments delivered? Between March 2012 and January 2016, when the U.S. lifted the sanctions, Iranian banks were not connected to the Belgium-based SWIFT (Society for Worldwide Interbank Financial Telecommunication) system. “Nobody could pay the Iranians via normal lines, not even in euros,” a European oil trader was quoted saying. However, at least since early 2013, Iran received billions of dollars in sanctions relief as incentives to attend negotiations with the United States and others in Geneva. So how did the regime access the payments and the billions of dollars in “incentives” it was given? Since early 2013, the Obama administration paid Iran for transferring goods to and from Afghanistan through the Iranian Persian Gulf port of Bandar Abbas. The Administration decided to ignore the sanctions, and instead of shipping the goods through Pakistan, it chose the Iranian port. This became such a lucrative business that Iran has opened another port on the Gulf of Oman, at Chabahar, to further facilitate American transshipments to Afghanistan. 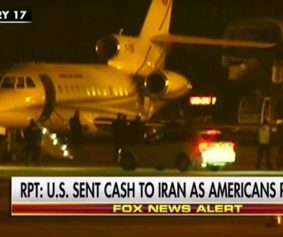 How did Iran access the U.S. payments? The sanctions prevented its access to SWIFT. Were those payments also sent in cash-pellets of non-U.S. currencies onboard chartered flights, under the cover of darkness? Awarding Iran’s terrorist activities with many billions of American taxpayers’ money while willfully violating U.S. money laundering and terrorism financing laws is a scandal worth exploring. Such a probe could begin with finding out who at Treasury sent the $1.7 billion to the Swiss National Bank (Switzerland’s central bank), which local banks were instructed by the SNB to deliver pallets of Swiss francs and euros to the airport to be loaded on airplanes? These banks have photocopies of all the bills that were shipped. The Trump administration should request those, as it explores who in the Obama administration was directly responsible for this scandal.